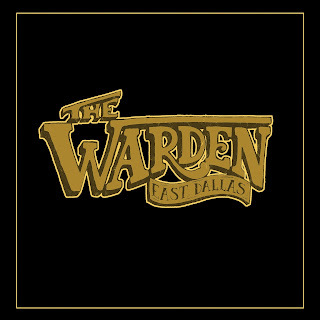 For an entertaining glimpse into the musical world of East Dallas Texan: Ward Richmond, dipping into his eponymous debut album is a well expended piece of your valuable listening time. Using the name The Warden and giving the record a self-title simplifies Richmond’s approach to music which is nothing more or less than a good ole dose of unpretentious country tinged roots rock ‘n’ roll. With subtlety left on the shelf, this part autobiography-part fiction account doesn’t dwell too much on sentiment and generally possesses a rolling pace to keep the listener fixated on the tales Richmond desires to tell. The tunes, melodies and selected instrumentation all do the job they set out to do thoroughly contributing to a record packed with instant appeal and designed for maximum impact. Richmond has been active in the East Dallas music scene for a number of years and for this inaugural solo guided project, plenty of assistance has been assembled to steer the record through its multitude of sounds. 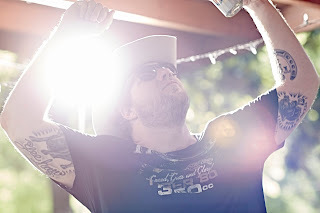 While traditional honky tonk country is the predominate sound, horns are occasionally added to give a soulful flavour and at times the guitars are ratchetted up to throw everything in a punk direction. However the record probably peaks when steel is king with the lively ‘County Line’ leading the way, closely followed by the duet pairing of ‘Bullets’ and ‘Interstate’. The first two of this named trio are the strongest candidates for the album’s golden moment. Richmond’s vocals as you would expect are rich in that Texas drawl and they work well with the duet/harmony contributions of fellow vocalists Leslie McDonel and Madison King. ‘High Life’ and ’50 Bucks’ lead the rocking contingent, with ‘Our Town’ and ‘Sun Goes Down’ spicing things up with horns. The opening two tracks are symptomatic of the record with the DIY feel to ‘Deny Deny Deny’ leading things off before ‘Little Darlin’’ gives hints that waves of eclecticism will periodically filter into the sound. All twelve songs have originated from the flowing pen of Richmond with the previously mentioned ‘Bullets’ having life in one of his previous band outings, Slick 57. Piano-led rocker ‘Living in the EDT’ maintains the album’s momentum in its latter stages and sees Richmond continue to delve into his background to mine the lyric content. The two remaining tracks for consideration include the earthy road song ‘Salvation’ and ‘Dark Clouds’, where Richmond halts his project in philosophical mode. THE WARDEN by The Warden will quite possibly be the easiest album title to remember all year, but more importantly, will be the ease that you can slip back to it with such comfort and the effect of never being away. The energy, passion and raw emotion make it a record to garner attention even when there is directed press campaign to engage listeners many thousands of miles from the roots of its origin. Ward Richmond has to be commended for making a thoroughly decent album threaded with a combination of timeless musical styles that still engage many folks far and wide. This is real music made for those who sometimes just want the simple things in life done well.